Thank to modern technologies we keep in touch with Anna. She is currently in the territory of South Africa and from there she’s shared her impressions about the trip with us. I am 35 and as nearly as ten years ago I was living an ordinary life: graduated from Kyiv National Linguistic University, got another business-related education and worked in the sphere of human resources, first at a large bank, later – in a charity fund. I wasn’t even thinking about motor bikes, more to that, no one neither in my family, nor among my friends was connected to them so I only watched them in the streets or on highways – had never even ridden one as a passenger. However, one of these days something clicked and I became overwhelmed with a fervent desire to learn how to ride a motor bike. I signed up for a moto school and almost immediately bought my first bike, Kawasaki Eliminator 125. Upon having mastered driving techniques and traffic code pretty quickly, I realized that I didn’t enjoy riding in Kyiv much so I tried to spend every weekend somewhere further away, in Kyiv region or in neighboring cities. The more you have, the more you want – in some time even such trips started to seem unexciting and the turn cameto get to neighboring states– Russia, Belarus and Moldova. Each time I felt like going further and further away and the only thing keeping me from that was a need to come back to homeland. After several years of local trips when not just CIS countries but also Romania, Bulgaria, Hungary, Turkey as well as Middle East states like Syria, Jordan and Lebanon were covered, terrifying ideas (yet they were warming up my ambitions) about a round-the-world trip started visiting my head. Everything changed when I visited India to spend four months there. Whether it was enlightenment in this sacred country or the mere fact of a long-time stay in a different culture modified my view of life, but I came back a different person from there, with a determination to travel around the whole planet on a motor bike. Still, intensions are one thing but we all live in a world of reality – it was kind of scary to travel alone and you cannot go on without financial support for a long time. I started looking for a partner or partners but the longer unsuccessful search continued, the more I was coming to understanding that it was better to travel all by myself. So, having weighed all pros and contras, I said polite ‘no’ to people who where considering such a journey. After the issue of a company dropped off by itself, it was time to find a sponsor. I have to say outright that I hadn’t managed too find people ready to fully finance the trip. 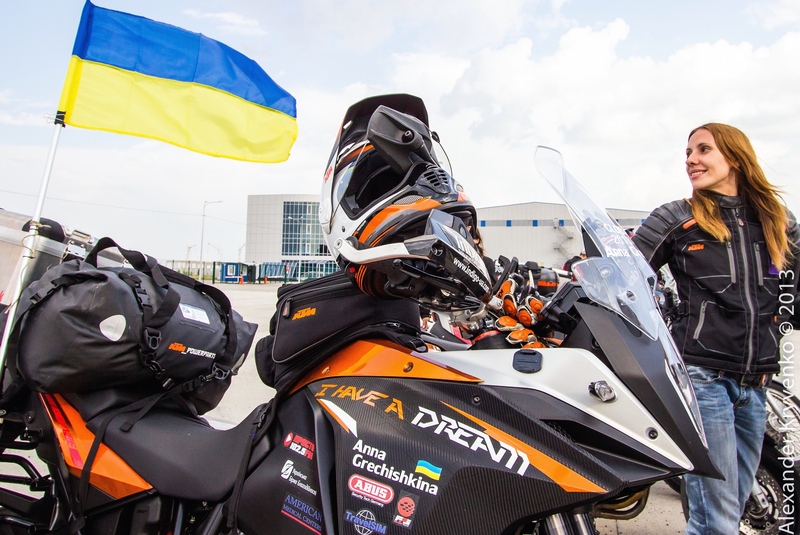 This made me despair and even almost call the whole thing off but I got very lucky to meet KTM Company and personally Yuriy Konoda – it was them who provided me with a motor bike and all necessary equipment. Ukrainian office had done a fantastic job to persuade the Austrians to help me this way. I simply couldn’t have let down people who had believed in I Have a Dream project so I set on my journey with a thousand dollars in my pocket. Now, within almost two years on the road I am terrified with the decision because it is madness to leave with the amount like that. 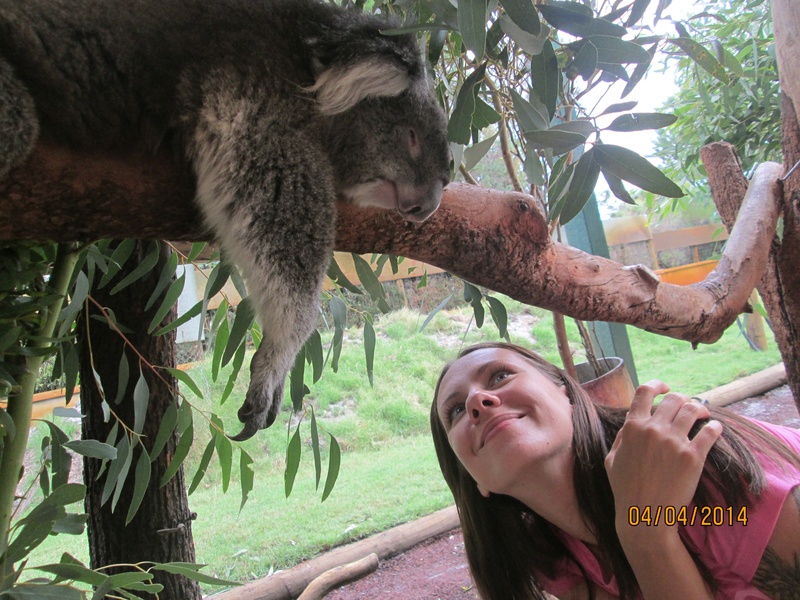 Now many people in different countries know about me and my trip – they help both financially and morally, provide me with a place to spend night and with food, consult as to solving various problems – and there are a lot of them. Initially I planned to cover the planet in two years, now it becomes obvious that even three may be not enough. In fact, the costliest part of a journey like that is transfer of a bike between continents. Because of this expenditure item I have to save literally on everything – even on food. Now that I’ve mentioned it, after “hunger weeks” I began treating food with huge respect and even the simplest products are almost sacred now. Main culinary euphoria was when by a complete accident I came across a small Ukrainian restaurant in Mexican city of Puebla – I missed my native cuisine so much. As to documents – indeed, it is an excuse for lazy ones. Sure enough, waiting for visas, submitting documents, getting denials are all both energy- and time-consuming but if a person really wants to travel, such things are not going to stop him or her. I don’t have any kind of privileges, I am an ordinary person with two external passports, which is legal in Ukraine, and as any other person I get visas to enter one state or another. As of the beginning of the journey, I only had two: the USA visa and Australian visa.